Michael Manga received his B.S. in geophysics from McGill University in 1990, his M.S. in engineering sciences from Harvard University in 1992, and as his Ph.D in Earth and Planetary Science also from Harvard University in 1994. 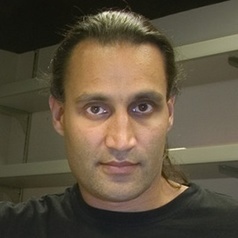 His current research interests focusses on geological processes involving fluids, including problems in physical volcanology, geodynamics, hydrogeology, and geomorphology, all of which relate to his attempt to develop a better quantitative understanding of physical processes operating in the Earth. Integrating observations and field data (both of active processes and recorded in the geologic record) with theoretical and model results is also an essential component of his research. Often the fluid mechanics needed for the understanding he is pursuing have not yet been studied. Consequently, his research also involves new contributions in applied mechanics. Recent contributions along these lines include studies of convection, the properties and dynamics of suspensions, flow and transport in porous materials, percolation theory, and high pressure mineral physics.